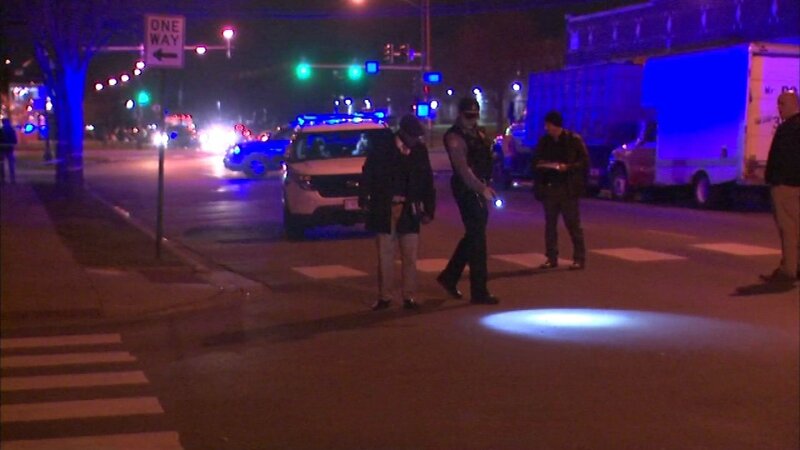 CHICAGO (WLS) -- Police said four people were shot in Chicago's Auburn Gresham neighborhood Tuesday night. The shooting happened near West 72nd Street and South May Street. Police said the victims were outside when a white vehicle pulled up and someone inside opened fire. Police said a 56-year-old woman was shot in the leg and a 40-year-old man suffered a graze wound to the head. Both were taken to Christ Hospital in stable condition. A 36-year-old man was shot in the buttocks and taken to Stroger Hospital in good condition. A 25-year-old man was shot in the hand and refused treatment at the scene.